Do your shopping at Fremantle Markets and Garden City Shopping Centre. Let the collections at Art Gallery of Western Australia and The Shipwreck Galleries capture your imagination. 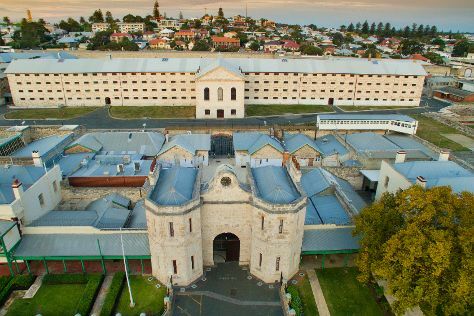 Change things up with these side-trips from Perth: Fremantle (Fremantle Prison & Western Australian Maritime Museum), Rockingham (Penguin Island & Rockingham Beach) and Caversham Wildlife Park (in Whiteman). And it doesn't end there: enjoy the sand and surf at Cottesloe Beach, contemplate the long history of The Perth Mint, contemplate the waterfront views at Swan River, and tour the pleasant surroundings at Scarborough Beach. To see other places to visit, more things to do, ratings, and more tourist information, go to the Perth day trip website . Los Angeles, USA to Perth is an approximately 24-hour flight. You'll lose 16 hours traveling from Los Angeles to Perth due to the time zone difference. Expect slightly colder weather when traveling from Los Angeles in July: highs in Perth hover around 65°F, while lows dip to 45°F. On the 21st (Sun), wrap the sightseeing up by early afternoon so you can travel back home.